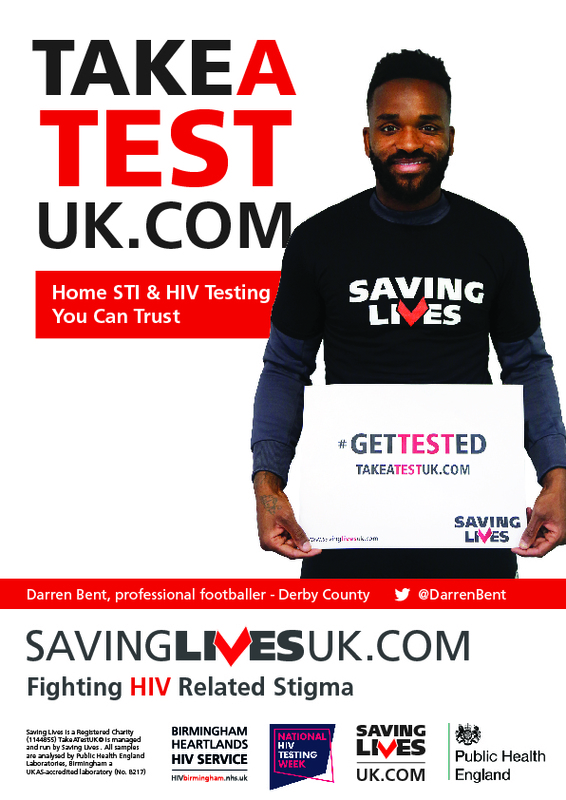 Rams striker Darren Bent is giving his support to a national charity looking to fight stigma during this year’s National HIV Testing Week. Saving Lives promotes the importance of HIV testing in fighting the virus. This year they are sending a simple message: stigma kills, and testing saves lives. Twenty per cent of the 100,000 people living with HIV in the UK do not know they are living with the virus. Early diagnosis is extremely important if they are to benefit from the best health outcomes. 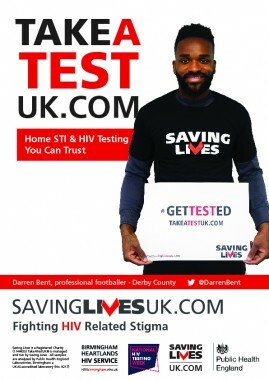 Saving Lives are using their website, www.takeatestuk.com, to offer free home testing kits tests until December 1s. The discreet kits arrive in plain packaging at whatever address a person prefers – and their samples are reviewed by Public Health England. Results are received in days, and NHS advisors are on hand to help.